Digital effects company A Large Evil Corporation is living up to its name, continuing to mercilessly taunt us with digital versions of gorgeous pop culture vinyl figures that we’ll never actually be able to own, because they don’t really exist. 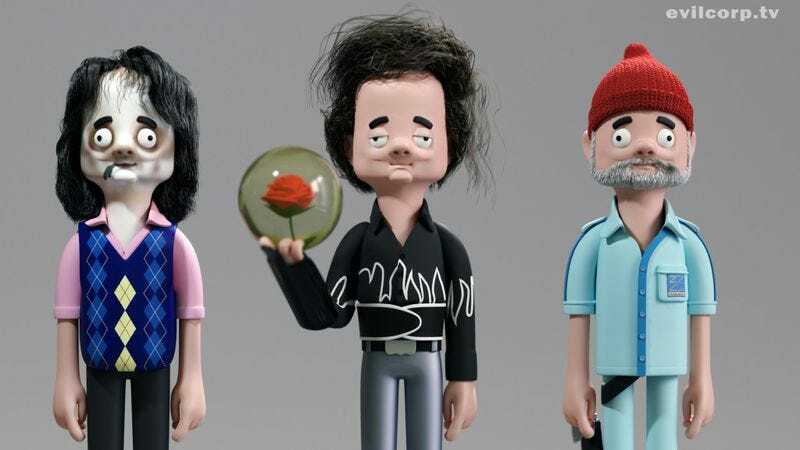 The company began its madness-inducing crusade with a series of figures based on Simon Pegg and Nick Frost’s characters from Edgar Wright’s Cornetto Trilogy, which we foolishly shared with you last month, unaware that we were only playing into the company’s vile plans. Apparently the response to those figures has been great, so the group has taken the next logical step by teasing the hell out of us with even more figures, instead of just taking its designs down to the Vinyl Plant (or wherever figurines come from) and having them made. Enjoy your grumbling, admiring discontent!